Your “rare” cruiser is from the 1941 edition. Assuming you mean the entry level AA1941, there are no cruisers in that game. Unless you meant a different game? I stand corrected - for some reason I read “destroyer” instead of “cruiser”. Selling Anniversary/Bulge/Guadalcanal/1941 rare pieces including ITALIAN TANKS! I’m selling this lot on eBay, but will gladly take it down immediately and sell to any forum member. Shoot me a pm! Also, if you want to offer less than the asking price, feel free! I’ll accept any offer that I view as reasonable. Also, feel free to shoot me an offer via eBay if you prefer to buy it that way. I couldn’t decide on a price, took tons of photos and decided eBay was the best locale. If you want, PM me and I’ll forward a link. I got home and realized I had sold some of the boards from earlier games, so I revised my listing. Trying to figure out a price as we speak! I’ll catalog tonight, but for now this is what I think have (subject to minor variations - please note that I don’t have the original boxes due to storage capacity but everything is in MINT condition. Pieces are at the bottom! PIECES!!! All of the above pieces, and then some. I have THOUSANDS of pieces, in a box roughly the size of a paper box. Included are A&A Anniversary Italians (tanks!) and Red Japanese from the original Pacific. Creme British from D-Day and Revised, and TONS more. I will also include some HBG Axis minors pieces as well (black). 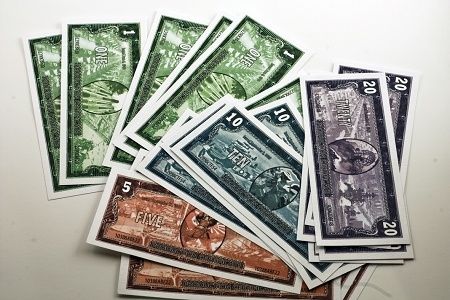 You will NEVER run out of pieces in any A&A game again. Ever. I don’t even want to guess how many pieces there are, but my conservative estimate is at least 5-6000. I will not break this lot. I honestly have no idea what to list this at, any offer must be reasonable as this is pretty much everything you need to play every game in the A&A series, as well as future versions. Offer if you’d like, I’m still counting the pieces in order to figure out how much to charge. Thanks! No worries, you haven’t been scooped at all. I’m waiting eagerly for shots of the new units, specifically the German artillery. 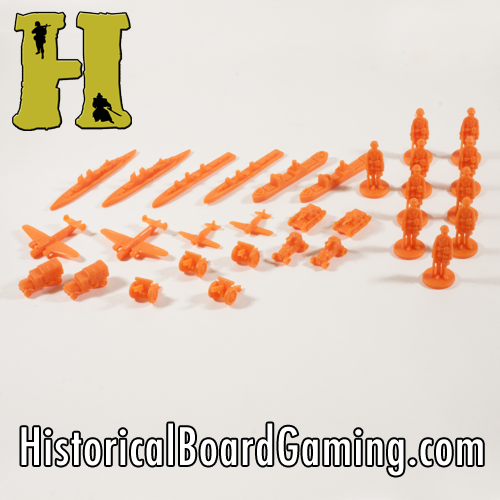 HBG - Axis & Allies Parts/Accessories and Custom Piece Sets Store! I’m only putting this up because I’ve done business several times with the person who owns this, and he was awesome each time. Our very own member, coachofmany, has launched his own Axis & Allies store, www.historicalboardgaming.com. His store sells individual A&A pieces, custom control markers, the most amazing production certificates around, as well as several sets of custom designed plastic piece sets in the same scale and colors as OOB pieces! Take a look around, and be sure that these are top quality products! Are the US colors dark green or olive drab? I was going to get some supplement pieces from Historical board gaming and wanted to know the right color for the US units. Really looking foward to this and the other reprints later this year. OOB A&A US units are always Olive Drab. I’ll be in Europe later this month, I’ll try to snag a copy.